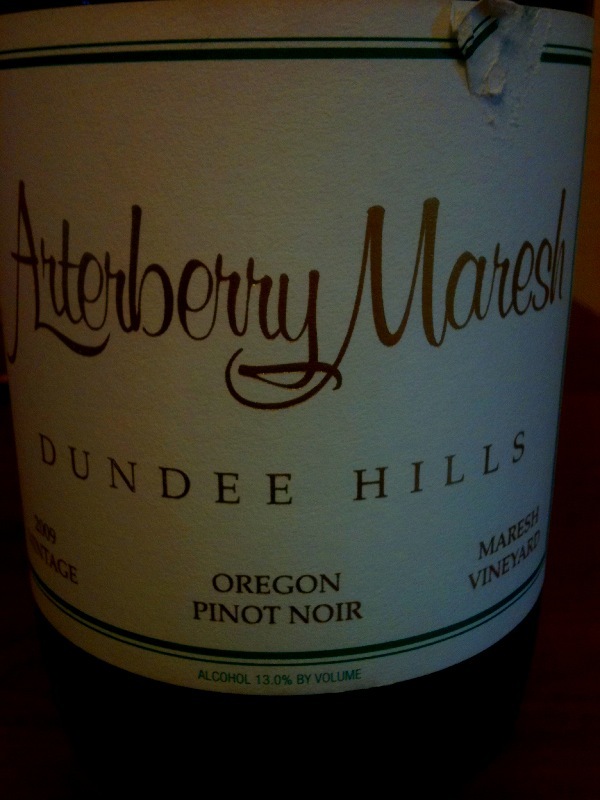 Rich red floral and sweet funky, wet earth tones are most prominent in this energetic young Pinot. Warm undertones of cherry pit, lemongrass, crushed rock, dark cranberry and peppered framboise. Spicily fruited, pleasantly textured, hints of rooibos tea-like tannin, balanced acid and good persistence. A bit of walnut-skin and espresso on the finish. Open and drinking quite well, this wine will improve once a bit of the warm, youthful aspects soften and cool. Top of it’s class. I have tried the D.H.Porth ’09. Would love to try some of the their single vineyard. Another mailing list sign-up in my future. Ah…Yes. Friends with Jim Maresh, and I don’t feel bad at all saying that the Porth barely holds a candle to his single vineyard efforts. The Maresh Vineyard Chardonnay is a special bottling.